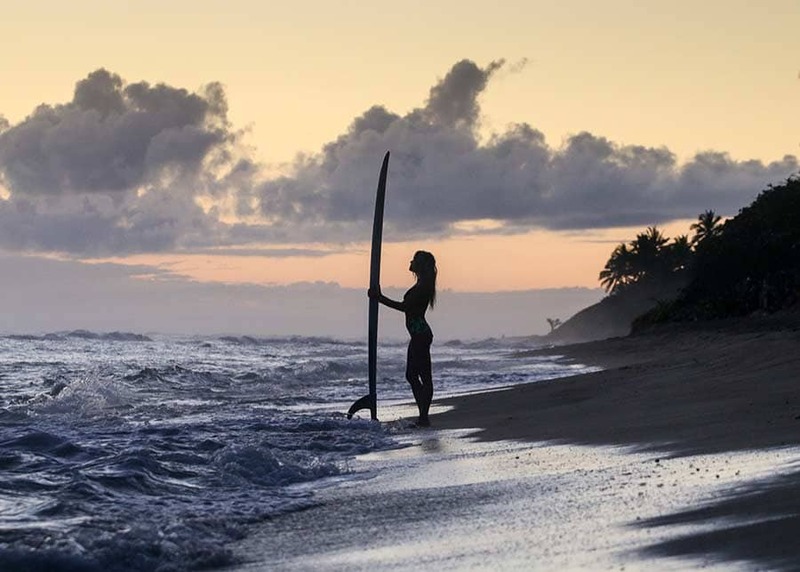 Surfing and Yoga are a match made in heaven and it`s no accident that the two pair-up so well. Pre-surf stretching has been a vital part of surfing since forever: You’ll never see a surfer enter the water without doing some stretching first. Using limbs in a way that is alien to most other daily activities or sports can take its toll, even on bodies whose owners consider themselves to be quite fit ordinarily. Unless you are a seasoned swimmer, arms are not used to paddling as a rule, so shoulders can react unpleasantly to the demands of catching lots of waves. Good Balance is an essential part of the surfing process. Yoga brings together many of the skills you will need to learn to surf well and perhaps most importantly, helps to stretch, relax, repair and tone aching limbs. Molly, our Ashtanga Yoga instructor at Swell, believes that the power of yoga can transform lives. Her teaching style is warm and supportive and she encourages students to explore beyond their perceived limitations by emphasising proper alignment to maximise performance and prevent injury. 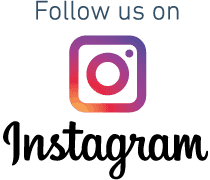 At Swell Surf Yoga Camp, we are very fortunate to have the lovely Molly O`Meara as our Yogi – Molly`s very friendly and relaxed way of teaching. Yoga really concentrates on the individual...she`s wonderful at pin-pointing your sore spots and gently encouraging your body to “give” and relax. 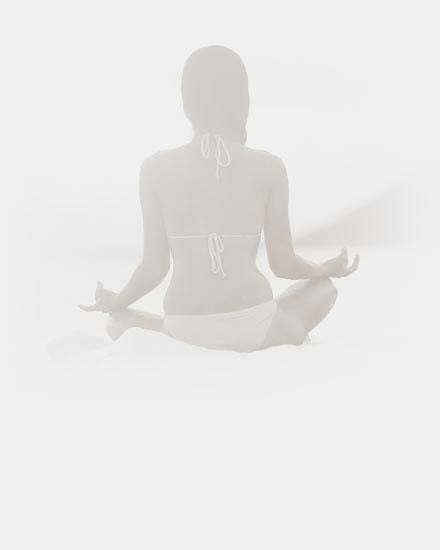 Molly began practising yoga in 1993 while she lived in Aspen Colorado. WHEN IS THE YOGA AND HOW MUCH IS IT? We have Yoga 3 times per week, on a Monday, Wednesday and Friday late afternoon. The cost is $20 USD per person, per class. I’VE NEVER DONE YOGA BEFORE, CAN I JOIN IN CLASSES EASILY? Molly’s teaching style is warm and supportive and she encourages students to explore beyond their perceived limitations by emphasising proper alignment to maximise performance and prevent injuries. You do not have to be a regular practitioner of Yoga to take and enjoy a class at Swell. 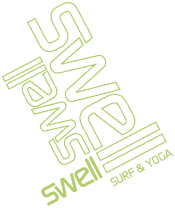 WHAT KIND OF YOGA DO YOU DO AT SWELL? Molly our Yogi specialises in Ashtanga Yoga.